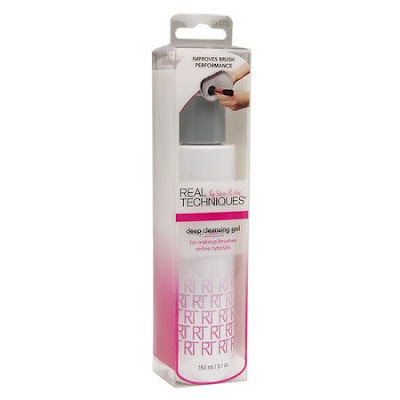 Real Techniques Gel Brush Cleanser! amazing, I couldn't believe how fresh and clean the scent was. When I poured a small amount on my real techniques brush cleaner tool the small amount went a long way. It worked exactly how I would expect a good cleanser to work, it made more than enough bubbles to make me feel good about the cleanliness of my brush. I didn't have to overuse product and my brushes came out super clean! I definitely recommend this brush cleanser. Its affordable and won't break the bank, and the smell is AMAZING! I am going to post a Vlog on this review to show you guys how awesome this cleanser is, I'l wash some brushes so you can see how clean they come out. This product is definitely a must have for all beauty lovers out there!